The Best Physical Therapy blogs from thousands of top Physical Therapy blogs in our index using search and social metrics. Data will be refreshed once a week. Also check out Top Physiotherapy Youtube Channels list for Top videos on Physiotherapy. 2.13 Six Physio | Don't Treat. Cure. 2.14 The Physical Therapy Advisor | Empowering You to Reach Your Optimal Health! Physical Therapy newsletter is a comprehensive summary of the day's most important blog posts and news articles from the best Physical Therapy websites on the web, and delivered to your email inbox each morning. To subscribe, simply provide us with your email address. About Blog The Modern Manual Therapy Blog - videos, research reviews, #bizPT, exercise, manual therapy techniques, Q&A and more! Facebook fans 45,657. Twitter followers 9,106. About Blog NewGradPhysicalTherapy.com, a resource developed for newly graduated doctors of physical therapy. We provide content, media and resources just for new PTs. Facebook fans 5,596. Twitter followers 2,659. About Blog Doctor Jo is a licensed Physical Therapist and Doctor of Physical Therapy. Her site contains free physical therapy videos for most common injuries and syndromes. Facebook fans 32,645. Twitter followers 978. About Blog A place for physio, physical therapists, students and other medical professionals to share experiences, challenges and best practise with the intention of providing higher quality care to our patients. Facebook fans 1,218,858. Twitter followers 584,887. About Blog We believe in empowering the rehab therapy community to achieve greatness in practice. That's why we created an innovative, end-to-end business solution designed specifically for rehab therapy professionals. WebPT gives every rehab therapy business, from single-therapist clinics to multi-location enterprises, the tools necessary to maximize performance, revenue, and patient outcomes. Facebook fans 44,082. Twitter followers 17,330. Boston, MA About Blog World-renowned physical therapist, strength coach, and performance enhancement specialist. I help people feel, move, and perform better. Facebook fans 105,631. Twitter followers 23,484. About Blog A knowledge exchange studio providing cutting-edge programs, research, resources, and training to the world's community of practicing physical therapists. Facebook fans 12,119. Twitter followers 21,645. About Blog EMR, practice management, billing, & data-driven coaching for physical therapy, occupational therapy, & speech therapy businesses from Clinicient. Facebook fans 550. Twitter followers 2,529. Facebook fans 70,454. Twitter followers 41,033. About Blog Canada's most trusted physiotherapy clinic network. pt Health specializes in physiotherapy, massage therapy, acupuncture, and chiropractic treatments. Facebook fans 5,173. Twitter followers 959. About Blog The official blog of Pivot Physical Therapy. We are a leading provider of physical therapy, aquatic therapy and sports medicine services with more than 120 locations throughout the East Coast. Facebook fans 3,386. Twitter followers 606. About Blog A sports physio and S&C coach. Passionate about simple honest advice. Not a fan of fads or gimmicks. Views my own, often strong, and will eventually upset you! Facebook fans n/a. Twitter followers 50,004. 13. Six Physio | Don't Treat. Cure. Central London & West Sussex About Blog Six Physio are leading independent physiotherapists & sports injury specialists, offering expert treatment in a range of services including Physiotherapy, Lower Back Pain, Sports Massage, Six Pilates, Sports Physiotherapy, Biomechanical Sports Assessments and Work Station Ergonomics. Facebook fans 1,337. Twitter followers 2,466. 14. The Physical Therapy Advisor | Empowering You to Reach Your Optimal Health! About Blog The purpose of The Physical Therapy Advisor is to be a respected resource for individuals who are searching for advice on physical therapy related topics; physical fitness and performance; health and nutrition; and injury prevention and rehabilitation. Facebook fans 588. Twitter followers 209. Facebook fans 4,717. Twitter followers 2,519. About Blog Physiotherapy clinic and Clinical Pilates studio located in Port Melbourne. Recover and rehabilitate to maximise your health and wellbeing. Facebook fans 462. Twitter followers 41. About Blog At Drayer Physical Therapy we care about you & your individual recover process. Click here to learn more about our range of physical therapy services! Facebook fans 5,799. Twitter followers 741. About Blog Irish Society of Chartered Physiotherapists is the professional body representing all Chartered Physiotherapists in Ireland. Facebook fans 3,344. Twitter followers 3,258. About Blog otal Performance Physical Therapy (TPPT) is a state-of-the-art physical and aquatic therapy center that was designed to cater to individuals of all ages and injuries. Each aspect of TPPT was formulated to make you – the patient – stronger, better, faster. Facebook fans 1,346. Twitter followers 404. About Blog Your leading source of physical therapy continuing education, jobs, and news. Facebook fans 84,030. Twitter followers 2,038. About Blog A podcast for physical therapists to provide new professionals with insight into the career paths of many more established physical therapists and to discuss current topics in the profession. Facebook fans 2,189. Twitter followers 3,122. About Blog Specializing in physical therapy website design, search marketing, video email newsletters, social media, mobile websites, reputation mgmt, & consulting. Facebook fans 866. Twitter followers 1,719. About Blog Downtown Toronto’s premier physiotherapy clinic for rehabilitation and injury management. Offering one on one care from highly skilled physiotherapists. Facebook fans 731. Twitter followers 77. About Blog Viva Physiotherapy offers a range of expert recovery treatments and injury solutions for Physiotherapy in the Melbourne CBD. Book an appointment today. Facebook fans 476. Twitter followers 1,063. About Blog Physical therapy specialize in orthopedics, sports medicine, spine care, worker`s compensation, no fault, with locations across New York. Facebook fans 2,092. Twitter followers 530. About Blog A guide for Physical Therapists on how to maintain profitability and high-quality care through adding and converting to cash-based services. Don't let declining insurance and Medicare reimbursements ruin your services or your business. Facebook fans 1,104. Twitter followers 2,985. About Blog The best physio facilities in Perth, with physiotherapists who are obsessed with delivering real results. Get better quicker with the Perth Physio experts. Facebook fans 3,492. Twitter followers 397. Auckland, NZ About Blog Exposing pain science to the masses, interest in CRPS. Creator of naked physio, naked physio podcast & RecogniseHealth. Bare all, communicate, discover. Facebook fans 1,629. Twitter followers 9,071. Facebook fans 3,971. Twitter followers 79. About Blog The School of Physical Therapy at Regis University in Denver consists of the faculty, current students, alumni, and clinical educators. About Blog A positive force for an otherwise physiotherapy. Facebook fans 2,142. Twitter followers 1,167. About Blog E&A Therapy provides the best in hands-on licensed physical therapy in a professional & trustworthy environment. Facebook fans 2,464. Twitter followers 1,362. About Blog Physical Therapy, Blogging, Consulting, Mentoring, Education. Facebook fans n/a. Twitter followers 1,395. United Kingdom About Blog PhysioGuru blog will present articles related to critique of latest physiotherapy research evidence, physiotherapy books, physiotherapy clinic softwares, physiotherapy apps and other media. Facebook fans 4,357. Twitter followers 11,132. About Blog Therapia is a marketplace that brings patients together with top-quality physiotherapy services delivered to their home, on their terms. Facebook fans 662. Twitter followers 34. England, UK About Blog Notes from a neck pain clinic, Physiotherapist Clinician. Facebook fans n/a. Twitter followers 5,266. Mississauga, Ontario, Canada About Blog SquareOne Physiotherapy has a reputation for the very best in diagnosis, treatment and rehabilitation - not to mention the great customer service! Providing Physiotherapy, Remedial Massage and Clinical Pilates to the lower North Shore. Facebook fans 342. Twitter followers 90. About Blog NYC Physical Therapy practice located in the Flatiron Union Square area providing top quality customized care for each patient in a non-clinical serene environment. Facebook fans 117. Twitter followers 2,875. Facebook fans 224. Twitter followers 119. UK About Blog Physiotalk is a tweetchat community for physiotherapists by physiotherapists. It is run by volunteers, and everything we do is free and open access. Learn, share, influence: helping physiotherapists to make the most of social media to discuss best practice, develop practice & improve services. Facebook fans 468. Twitter followers 24,118. About Blog Red Hill Physiotherapy is comprised of a progressive group of physiotherapists with a combined 60 years of clinical experience. Facebook fans 1,117. Twitter followers 55. About Blog Follow BTC for info on physical therapy, fitness, pilates & yoga, running, health & nutrition, sports injury prevention, specials/promotions and much more! Facebook fans n/a. Twitter followers 257. About Blog Where Physiotherapy Gets Logical. A physical therapy blog on science, evidence and reasoning from Kenny Venere and Chris Joyce. About Blog Kensington Physio & Sports Medicine is a private physiotherapy business in London offering exceptional physio, rehab and functional screening. Facebook fans 1,627. Twitter followers 675. Hampshire, UK About Blog From our years of experience in resolving thousands of people's injuries, we have develped The goPhysio Way. The goPhysio Way is our unique approach to helping you get back to doing what you enjoy and performing at your physical best. We look to not only remedy your immediate issues but also deliver long-term, physical durability. We go beyond just recovering your injury, by helping you improve your physical well being and preventing future injuries or reoccurrences. Facebook fans 545. Twitter followers 1,731. About Blog This blog was created with the aim two write about my erfaringer in the field of physiotherapy and sports medicine. About Blog Providing Excellence in Physiotherapy Services Across Crestwood, Baulkham Hills & the Castle Hill District... We'll help you keep moving and living well! Facebook fans 587. Twitter followers 57. About Blog Optimizing the health & performance of athletes through personalized, one-on-one care. Facebook fans 5,668. Twitter followers 960. Minnesota, USA About Blog We are a billing and collection service for physical therapy private practices. Jet PT Billing is owned and operated by a former private practice owner who knows what it takes to make your business thrive. Facebook fans 84. Twitter followers 19. About - The CSP is the professional, educational and trade union body for the UK's 53,000 chartered physiotherapists, students and support workers. Our mission is to raise the profile of the profession and awareness of the benefits physiotherapy offers in preventing ill health, increasing independence for people with long term conditions, and rehabilitation after illness and accident. About - PhysioGuru is your one stop physiotherapy resource. Get the latest events, jobs, courses, videos, news and research from the physiotherapy world. About - Learn, share, influence: helping physiotherapists to make the most of social media to discuss best practice, develop practice & improve services. About - Capital Physio is recognised as one of the leading physiotherapy groups in the UK, with a reputation for quality treatment and lasting results. We are also one of the largest Physiotherapy providers, with a fast expanding network of clinics spanning the breadth of the country. 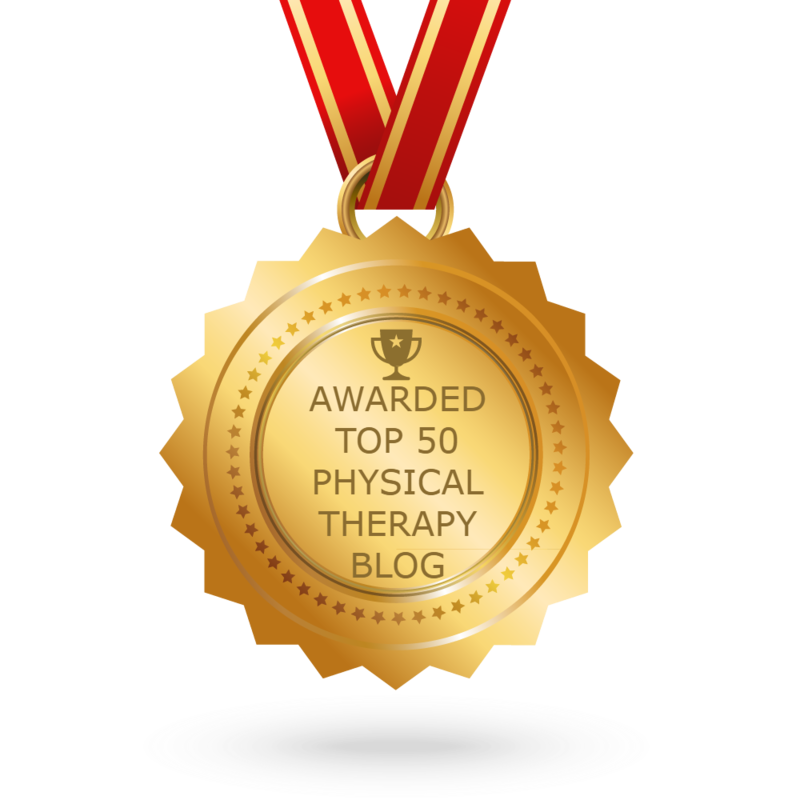 CONGRATULATIONS to every blogger that has made this Top Physical Therapy blogs list! This is the most comprehensive list of best Physical Therapy blogs on the internet and I’m honoured to have you as part of this! I personally give you a high-five and want to thank you for your contribution to this world.